Another year, another new fall season. You can either "Look at ABC Now! ", enjoy the "Network of the New! 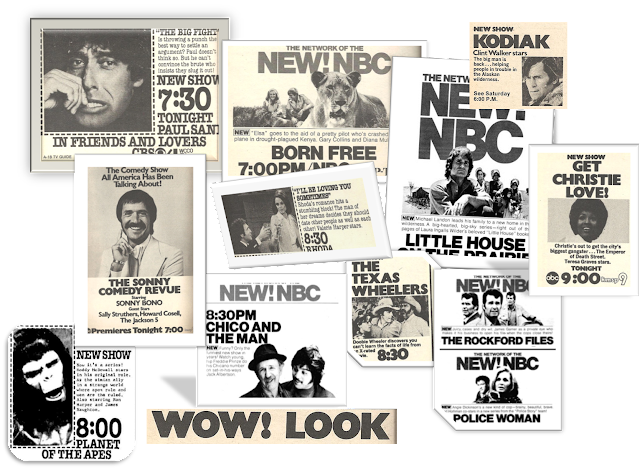 NBC", or stick with old, reliable CBS, which undoubtedly felt that actions - or at least good TV shows - spoke louder than words. The start of a new television season is a bit like the start of the NFL season, which coincidentally appears on the cover of this week's issue. It's a time for unlimited optimism, when fans everywhere harbor the dream (or illusion) that this could be the year their teams go all the way. Before that opening kickoff, every team is tied for first. For a lot of teams, it won't get any better than that. And so it is with the 1974 fall season. The excitement from some of these ads jumps right off the page. Unfortunately, in so many cases the optimism is not only unfounded, it's sadly pathetic. And instead of a tingling leg, the reader is left wondering just who in the hell thought this show was a good idea. More on that in a minute. But speaking of football, as we were a moment ago, the NFL's policy in the early 1970s was to start games at 1:00 p.m. local time (unless they were the second half of doubleheaders). Perhaps this was a nod to churches, I don't know. If you lived in Minneapolis-St. Paul, as I did, you had a fair share of 1:00 kickoffs, what with the Vikings playing other Midwest rivals like Chicago and Green Bay. And what that meant was that the second game of a doubleheader would be joined in progress. We can see that this week on NBC, with the Jets-Bears game starting at 1:00 CT, and the far-more-interesting Oakland Raiders-Kansas City Chiefs* game being JIPed at, maybe, 3:50. 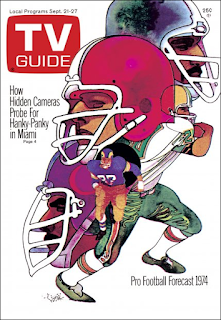 (Mind you, in the early '70s it is at least possible (if not likely) that a pro football game runs less than three hours, which means that if you're lucky, you might only miss the first quarter of the late game.) I can't remember exactly when the league changed to the hard-and-fast noon starting time (except for Baltimore, where the blue laws mandated a 2pm start), but it's hard to believe that "Joined in Progress" used to be a regular part of NFL TV listings. *The fact that the Jets edged the Bears 23-21 while the Raiders routed the Chiefs 27-7 isn't the point; most fans will tell you they plan their football days around what they anticipate, and the fact that NBC sent Curt Gowdy and Al DeRogatis Don Meredith, their big-game announcers, to Oakland, suggests they expected the same thing. 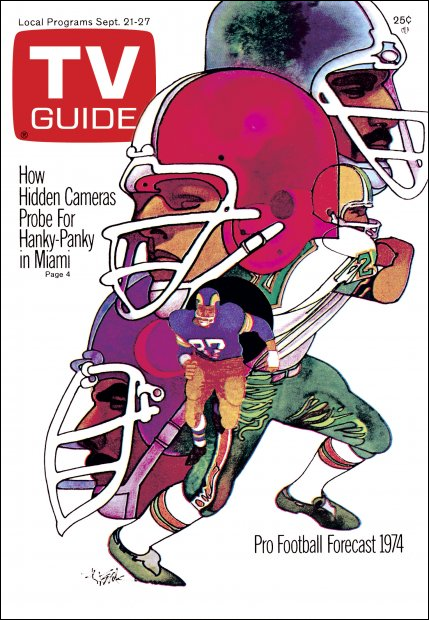 There's no question that by 1974, the NFL is a big deal. You know what else is a big deal? Movies on TV, or to be more precise, theatrical movies. The start of a new season has always been a great time for networks to showcase the latest additions to their movie inventory, and we can see it this week with three blockbusters right out of the gate: the network premieres of Rachel, Rachel (8:00 p.m. Monday, NBC) and Thunderball (8:00 p.m. Sunday, ABC), and the first rerun of Bonnie and Clyde* (8:00 p.m. Friday, CBS). 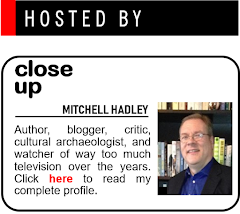 What does our resident film critic, Judith Crist, think of these hits? Of Rachel, Rachel, directed by Paul Newman and starring his wife Joanne Woodward, Crist writes that It is "beautiful, sensitive and perceptive," with Woodward "perfection" as a spinster facing the "last ascending summer" of her life. Thunderball, starring Sean Connery, is "lighter in heart, spoofier and campier than, say, Goldfinger," but while there may be more corn than wit, "it's all fun." 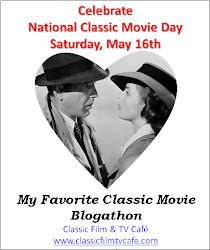 As for the "milestone" Bonnie and Clyde, in its second go-round Crist suggests concentrating on the supporting performances of Estelle Parsons, "brilliant in her screen debut," and "flawless" Gene Hackman, along with Michael J. Pollard as Warren Beatty's brother. *I wonder how much they had to cut out to make it suitable for network television? Incidentally, for movies with long running times—Ben-Hur or Lawrence of Arabia, for example—there were generally two ways for the network to deal with them. 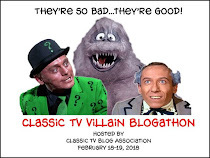 They could be split into two parts, often running on consecutive nights; or they could be shown on a Saturday or Sunday night and be allowed to run over the normal time slot. This is what we see with ABC's broadcast of Thunderball, which has a running time of 2:45. 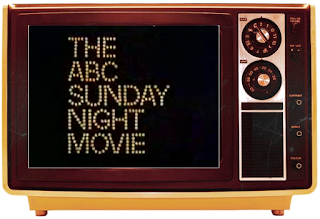 It begins at the normal ABC time of 8:00 p.m., and pushes the late local news back by 45 minutes, to 10:45 p.m. Of course, back then the weekend news wasn't as big a deal, and the movie would probably guarantee a larger audience for the local newscast anyway. Nowadays, pretty much the only time you see a program extend beyond its time slot by a substantial amount is when everything has been pushed back—by the NFL, for instance, where games seldom ever run less than three hours, and more often push closer to three and-a-half. In this case, times have changed. 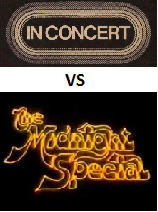 TV's two definitive 70s-era rock music shows, NBC's The Midnight Special and ABC's In Concert, faced off on Friday nights. Midnight Special was a weekly show, airing after Johnny Carson, while In Concert was an every-other week part of Wide World of Entertainment. Whenever the two slug it out, we'll be there to give you the winner. In Concert: It's a tribute to Cat Stevens, with Linda Ronstadt, Donny Hathaway, Dr. John, and Stevens himself performing 90 minutes of the singer-songwriter's greatest hits. Midnight Special: Singer-composer Randy Newman is the host, with Maria Muldaur, Dr. John, the Turtles and guitarist Ry Cooder. Both of this week's installments are reruns, so it's merely a coincidence that Dr. John appears on both of them. We'll cancel him out, which leaves us with Stevens, Ronstadt, and Hathaway vs. Newman, Muldaur, the Turtles, and Ry Cooder. And you know what? I can't work up any enthusiasm for either of them. Sometimes these things happen. The verdict: Push. 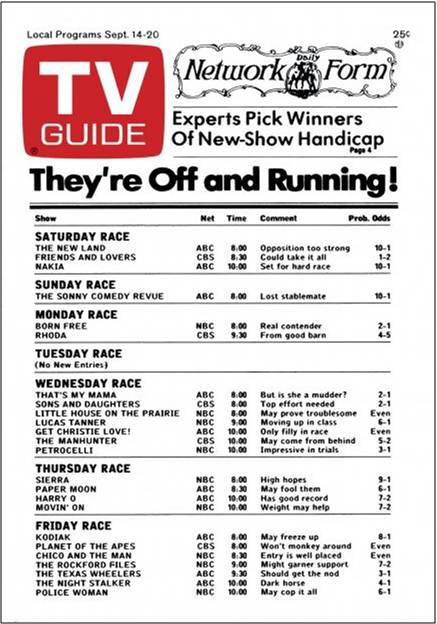 As you can see above, the cover of the September 14 TV Guide was mocked up to look like a horse racing tip sheet with odds on the new shows. Many of those shows are starting this week, and while some of them will run for many seasons, you'd better be quick to catch others, because you're not going to have many opportunities to see them. And as for the predictions: well, some of them were right on, while others—well, let's just say that if you'd actually gone to Vegas and plunked down some dough based on these odds, you might not be reading this now, because you're homeless and the Starbucks won't let you use the wi-fi without making a purchase. We're going to spend the rest of our time this week taking a look at what all the shouting was about, with a little quiz to see just how well you can place yourself back in that time period and imagine what the critics thought of the new season. Here are the odds on a dozen of those new shows as they appeared on the cover of that issue, along with a catchy tip for each one. 1-2. Could take it all. Even. Entry is well placed. 3-1. Should get the nod. Even. Only filly in race. 6-1. May cop it all. Now we'll take a look at the ads for these shows as they appeared in these very pages. See if you can recognize them from the handicapper's comments. After the jump, we'll match the quotes and the shows, and separate the winners from the losers. Remember, no using subsequent knowledge when choosing your answers—you have to put yourself in the place of the critics of the day, considering things like the cast, the network, and the timeslot! Friends and Lovers (CBS). This was everyone's choice as the sure-fire hit of the year. 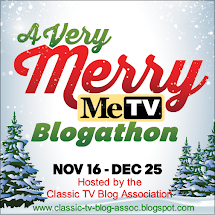 CBS put it in a primo slot, between All In the Family and Mary Tyler Moore. Unfortunately, someone forgot to tell the viewers. Paul Sand's show only made it as far as January 1975, when it was replaced by The Jeffersons, a series which did considerably better. Planet of the Apes (CBS). A spin-off of the hit movie series must have seemed like a good idea at the time. Thirteen weeks later, maybe not. Born Free (NBC). A "real contender"? Another spin-off of another successful movie. Another bomb. By the end of 1974, NBC had set it free. Little House on the Prairie (NBC). Much loved to this day, Little House premiered on Wednesday against two other newcomers (That's My Mama on ABC and Sons and Daughters on CBS). It ran for nine seasons, and often was the sole shining light in many an otherwise-dismal year for NBC. Chico and the Man (NBC). It was indeed well-placed, surviving for four seasons. Sadly, its star, Freddie Prinze, did not, committing suicide late in the third season. The Texas Wheelers (ABC). Maybe this MTM-produced sitcom should have gotten the nod, but it didn't. 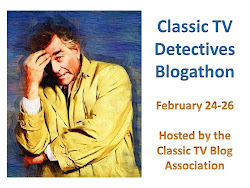 Not against The Rockford Files, that is. 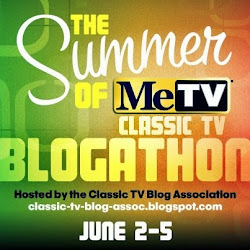 Four episodes, with an additional four shown in summer reruns. Kodiak (ABC). Clint Walker (Cheyenne) returns to TV. For four weeks, up against Sanford and Son. 8-1 odds were probably generous. Rhoda (CBS). 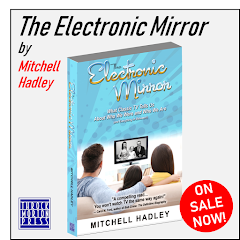 The optimism about this MTM-spinoff was well-founded. A hit for five seasons. Get Christie Love! (ABC) Why did this show fail? It was up against two newcomers (Petrocelli and The Manhunter, neither of which succeeded. Was it the wrong time for a blackploitation police series? At least it made it for 22 episodes. Police Woman (NBC). Angie Dickinson in a uniform. Who could ask for anything more? Successful for four seasons; ridiculously underpriced at 6-1. Should make up for Friends and Lovers. The Sonny Comedy Review (ABC).Do I really need to say anything more? After that, what's left but to run for Congress? - Anyone who's ever seen Bonnie And Clyde knows full well that Gene Hackman played Warren Beatty's brother, not Michael J. Pollard. Not having the magazine, I guess it might be Judith Crist's error, although that's doubtful (no offense intended, but oftentimes you seem to read through these things too fast …). - Paul Sand in Friends And Lovers (that was the full title) was dropped because it didn't hold on to the All In The Family lead-in, although its own numbers were hardly "flop" status. CBS applied a different standard in "hammock" timeslots (as did the other nets, come to that) -unfair then as ever, but those were "the rules". - Since Petrocelli made it to a second season, you can't say it "didn't succeed". 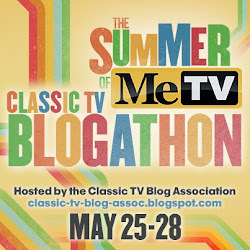 Truth was, all three of the shows in that slot were "on the bubble" that year; Petrocelli was "the last one standing" at schedule time, a common occurrence in the three-network days. - I know this is a technicality. but anyone who remembers Police Woman at all knows that Angie Dickinson almost never wore a uniform; she always worked undercover (knock off the snarky jokes in the back, OK?). - The Texas Wheelers was a classic example of the Critical Darling: the show that "critics" adore and viewers ignore. 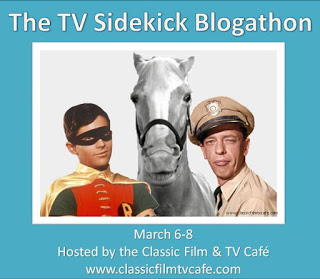 The Friday time slot didn't help; ABC's stillborn schedule was no better (Six Million Dollar Man was salvaged by a move to Sunday, but Friday night was an ABC trouble spot for some years afterward). - On the other hand, The Sonny Comedy Review was a target from the start. All the "critics" were unanimous about Sonny Bono being a no-talent bum, and once CBS gave Cher her own solo show, all order in the Universe would be restored. 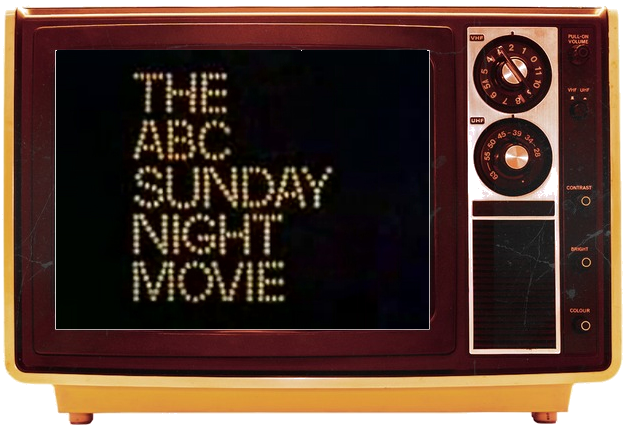 - When ABC moved Six Million Dollar Man to Sunday, Cher's new show became nothing more than a loss-leader; when fall '75 came around, it sank even more. 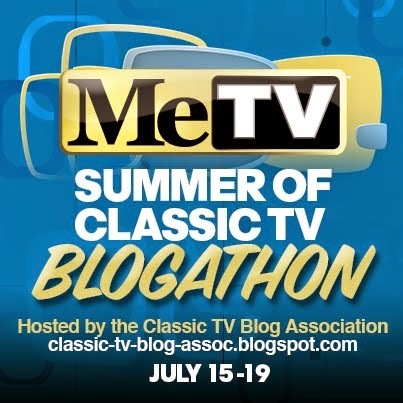 - To try and save face, CBS mandated the shotgun reconciliation of Sonny & Cher, which resulted in its turn in the sinking of NBC's Ellery Queen, which was becoming a loss-leader, and stood at least an outside chance for a second season pickup. ABC's Bionic Guy won the hour going away. CBS's S&Creunion was (pardon thee expression) a Ten-Day's-Wonder; come fall, it sank almost as quickly as Sonny's solo had the year before. And what happened to the "Happy Couple"? Sonny was elected to Congress. Jim Hutton died during what, in a just world, would have been Ellery Queen's fourth season. I have never forgiven Cher. Al DeRogatis was replaced for the 1974 season by Don Meredith, who signed a big contract with NBC which included the promise of acting jobs. Alex Karras replaced Meredith on MNF. Ach! Of course you're right, Wayne. I should have remembered that was the year. In my own defense, I did try to look it up online, because I was too lazy to get up off the couch. That'll teach me. Great catch - thanks! I wonder if Don Meredith's NBC acting opportunities included the pilot movie for the disastrous SUPERTRAIN series. That's the only place where I can recall seeing him act. I do recall him as partnered with Tony Lo Bianco in several episodes of Police Story, but unlike some episodes of the series, they were never spun off into their own series. The resulting series was far too tame for the 10 PM ET slot IMO, and much tamer than the similarly themed POLICE WOMAN. A big cause for this was that series star Teresa Graves became a devout Jehovah's Witness in the interim between the 1973 filming of the pilot and the Spring 1974 series order. Graves requested for Detective Love to have no killing scenes, no kissing scenes, even didn't want her character to be "lying"; kind of hard for an undercover detective! In watching the series for my ongoing episode guide at the Section, producer David Wolper was creative at times in accommodating these requests, and Graves' charisma comes through in every scene, but the self-imposed guidelines were far too tame for either 10 PM prime time OR blaxploitation fans. Not a bad show, but certainly didn't stand out from the pack. It certainly could have, if the more risqué template for the TV movie had been followed. After filming wrapped, Graves left showbiz for good at age 27. Our loss. Hey Mitchell. Can I please pinch your image of the TV set with the dials? It's an Australian TV dial and we never see those, as pretty much any stock image of a vintage TV set shows the American TV dials! That look could have been reported by DRF.COM as it's now known, or as people in the horse market know, the Daily Racing Form, a newspaper printed for distribution towards the horsemen crowd! How many people who have watched horse racing's four majors or its plethora of important races outside the Grand Slam know of it? Or did TV Guide's parent then own the Daily Racing Form? TV Guide's 'parent' was Walter Annenberg, whose father, Moe Annenberg, founded The Daily Racing Form; that was the source of the family fortune. TV Guide's 'parent' was Walter Annenberg, whose father, Moe Annenberg, founded The Daily Racing Form years before; it was the source of the family fortune, the foundation of the publishing empire, and what proved to Walter Annenberg that TV Guide would work as a national/local publication. As to "the horsemen crowd": would that include my Uncle Louie Pavletic? Any time we kids would visit him and Aunt May, he'd always have the Cub game on TV, the White Sox game on the radio, and his bookie on the phone - a true American Sportsman! Okay, you got me. What's the difference between Australian and American tv dials?